The Mercator City ceiling fan with DC motor, LED light and remote is a 130cm (52″) diameter fan with a modern design. With its low profile design, this City ceiling fan is perfect for low ceilings (just 169mm from ceiling to blade). 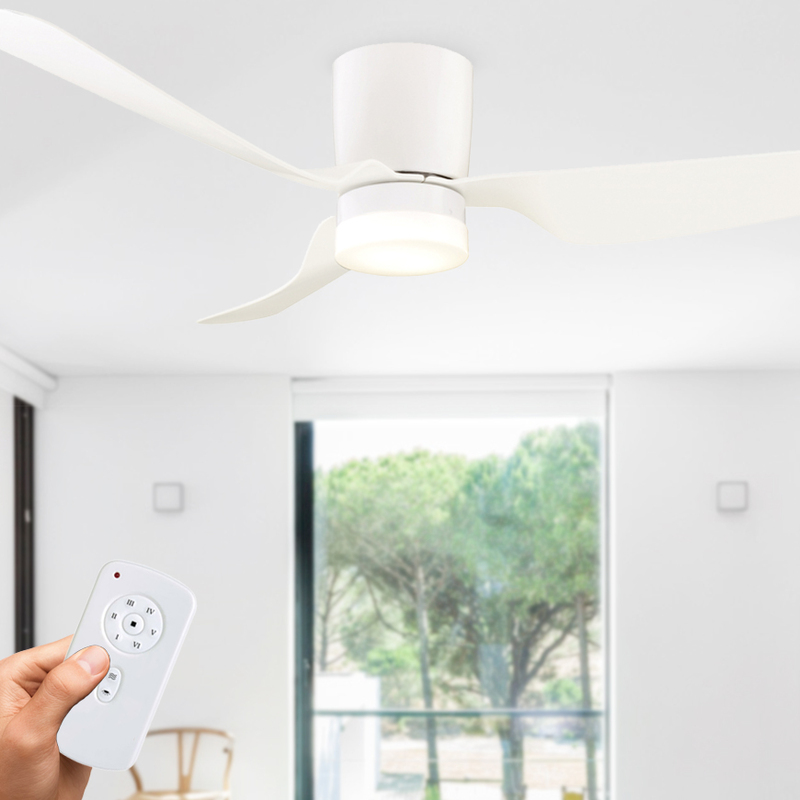 With 6 speeds to choose from, a remote control included, and a very quiet operation – this is the ideal ceiling fan for a bedroom or living area. 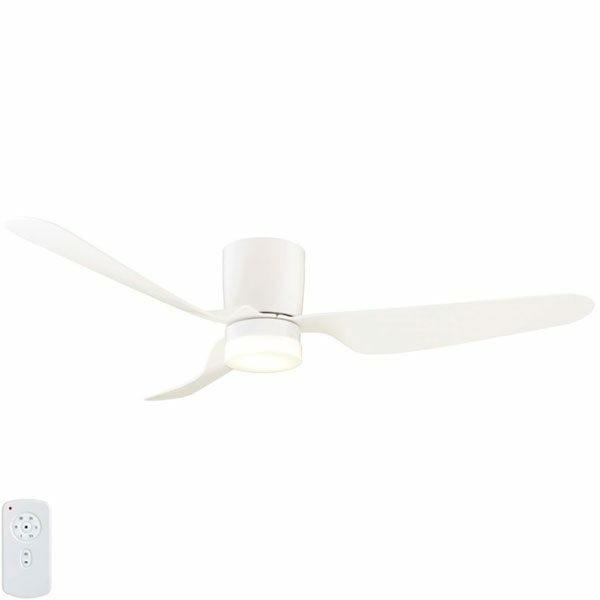 This particular model of the City ceiling fan comes with a White motor and White plastic blades. Why Choose the Mercator City DC Ceiling Fan With LED Light? The Mercator City DC ceiling fan with light is an energy saving model featuring a DC motor, LED light and a remote control as standard. With its modern low profile design, it is perfect for flat, low ceilings while keeping a sleek look. The City ceiling fans have plastic blades that are durable and offer great airflow. The 12w LED omits a 4000k light and is dimmable from the remote. The Mercator City DC ceiling fan is a highly popular model. This model comes with a white motor and white finish blades.